"SPECTACULAR LOCATION" backing onto the bike pathway & GREENBELT leading you directly into the school & playground areas! This STUNNING 2 Storey EXECUTIVE home is impressively designed & finished w/ CHIC DECOR thru-out. TRIPLE CAR GARAGE, SOUTH FACING BACKYARD is beautifully treed & manicured, 2 Tiered COMPOSITE DECK& quiet crescent creates ideal WEST PARK ESTATE living. Over 2860 sq ft finished w/ 3 brms, 2 1/2 baths, main flr den w/ ELEGANT French doors,vaulted ceilings in living & bonus rms, GOURMET kitchen, butler style walk-thru pantry, LARGE mudroom w/ benches & storage & ELEGANT dining rm. DOUBLE SLIDING doors onto OUTDOOR LIVING SPACE creates EXPANSIVE living off of main level. 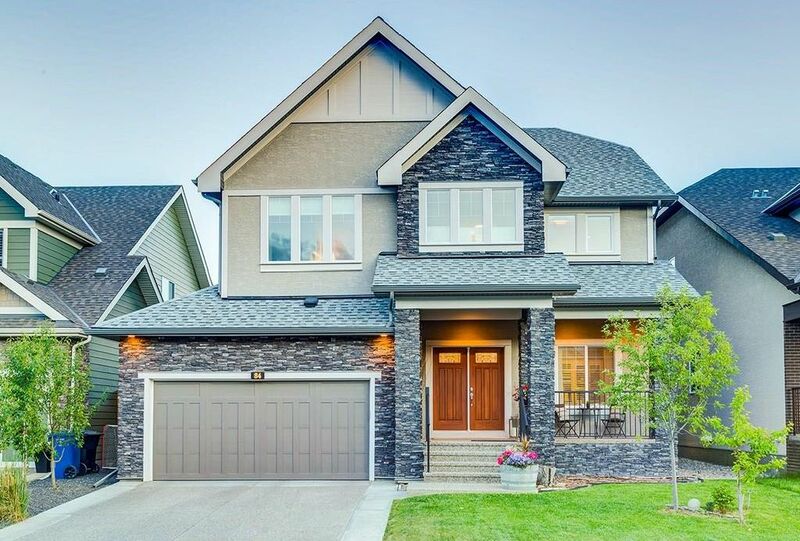 MASTER RETREAT privately located w/SPA-LIKE ensuite, 2walk-in closets, generous additional bedrms, 4pc, & bright vaulted bonus or 4th bedrm w/ closet complete 2nd level. STYLISH cabinetry, lovely GRANITE & BACKSPLASH, expansive kitchen island creates the ideal family or entertaining home! Click above for virtual tour.